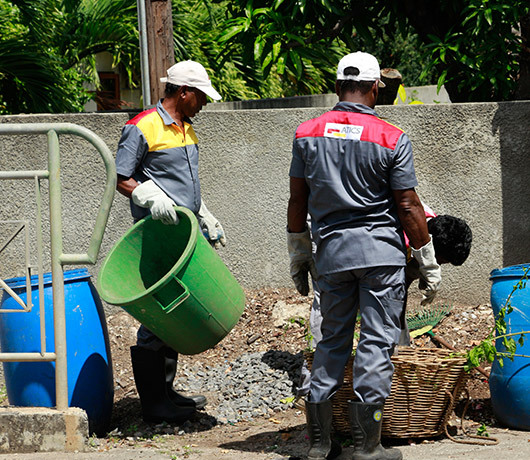 Our dynamic teams of men and women work every day to offer to all citizens a clean and healthy environment. The employee recruitment process is undertaken in specific areas of the island accordingly to the projects allocation thus ensuring proximity and immediate intervention. We are attentive our employees, to the inhabitants, their lifestyle and their expectations. Training and professionalism is a major axis of our development. 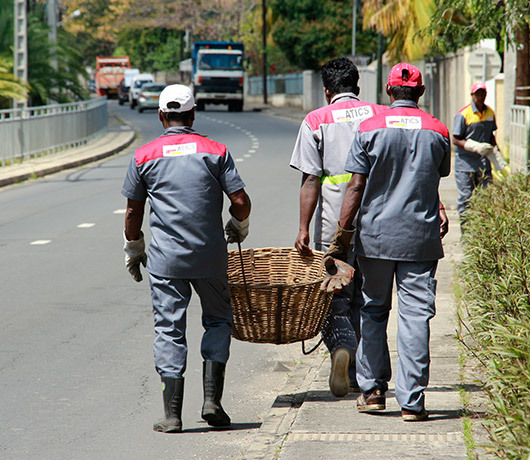 Our employees are trained in accordance to their job; waste collection, sweeping, urban cleaning and waste management as well as hygiene and safety. The safety and health of our people is our permanent and major concern. We believe that the risk knowledge and prevention measures are paramount, that it should be applied to each and every employee as well as for anyone linked and associated to our activities and services. We regularly organize hygiene and security training so that all our employees are aware of the risks they face when they are on duty. Moreover we regularly organize vaccination campaigns against tetanus and hepatitis B for all our employees.